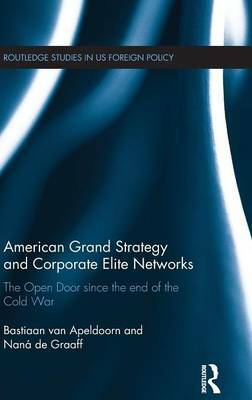 This book presents a novel analysis of how US grand strategy has evolved from the end of the Cold War to the present, offering an integrated analysis of both continuity and change. The post-Cold War American grand strategy has continued to be oriented to securing an `open door' to US capital around the globe. This book will show that the three different administrations that have been in office in the post-Cold War era have pursued this goal with varying means: from Clinton's promotion of neoliberal globalization to Bush's `war on terror' and Obama's search to maintain US primacy in the face of a declining economy and a rising Asia. This book is of great use to specialists in International Relations - within International Political Economy, International Security and Foreign Policy Analysis, as well as students of US Politics.